The newly formed HGST company (formerly known as Hitachi Global Storage Technologies and now part of Western Digital) has announced the world’s first 4TB enterprise-grade hard drive family – the HGST Ultrastar 7K4000. Apart from the monstrous capacity the new drive also supports 512e advanced format and 2 million hours of mean time before failure, which makes the new Ultrastar 7K4000 the perfect solution for 24 x 7 enterprise applications such as big data, cloud computing, data warehousing, video-on-demand, disk-to-disk backup, and massive scale-out storage implementations. Thanks to its huge capacity now all kinds of companies can make use of 2.4 PB of storage in the footprint of a standard 19-inch storage rack by stacking ten 4U, 60-bay enclosures. Apart from the 4 TB capacity the Ultrastar 7K4000 also supports SATA 3.0 and sports a 64 MB cache buffer. 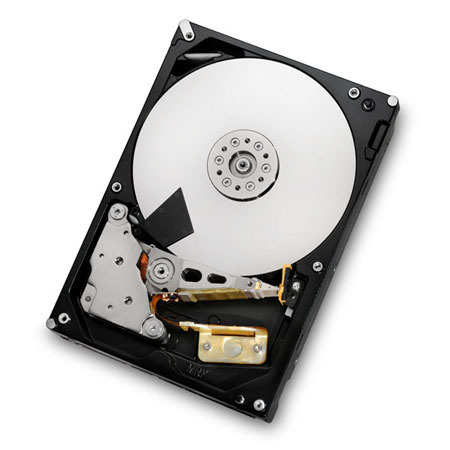 The HGST Ultrastar 7K4000 is now available in limited quantities but pricing is unknown.